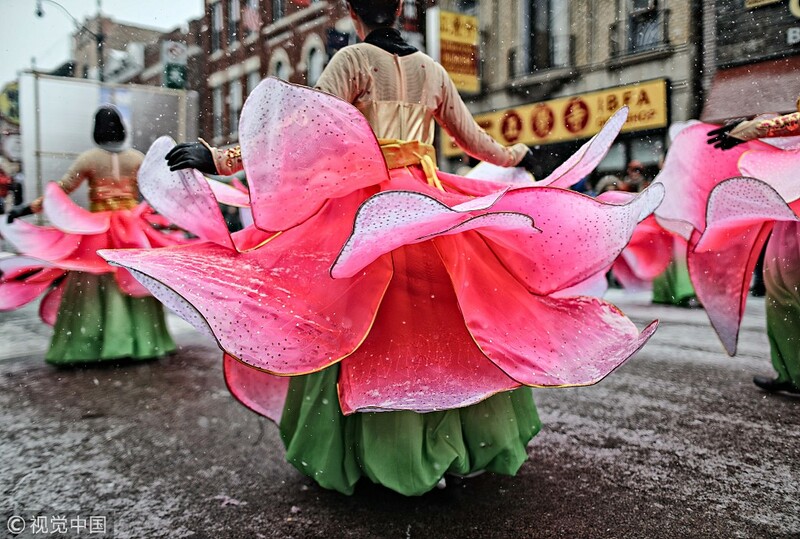 During Spring Festival, Chinese in foreign countries celebrate the New Year in their own way. 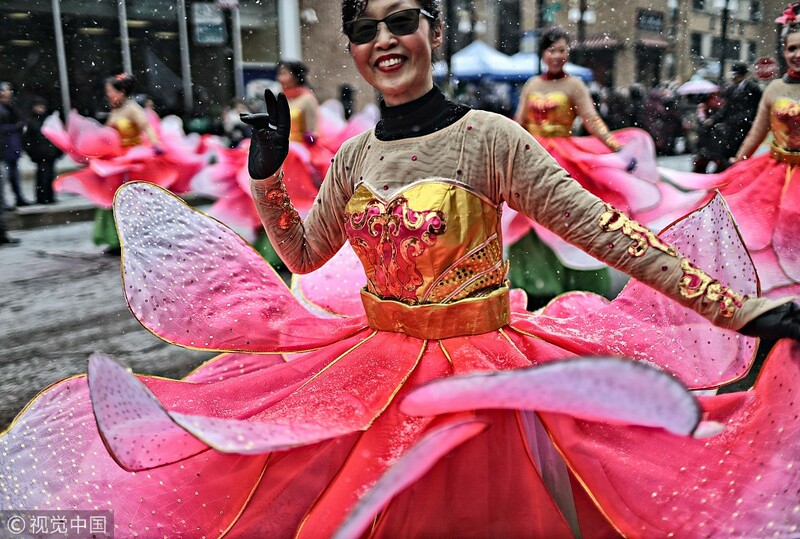 This photo shows members in a Chicago Chinese Community dress up to celebrate the Year of the Pig in snowy weather, February 10, 2019, Chicago, United States. 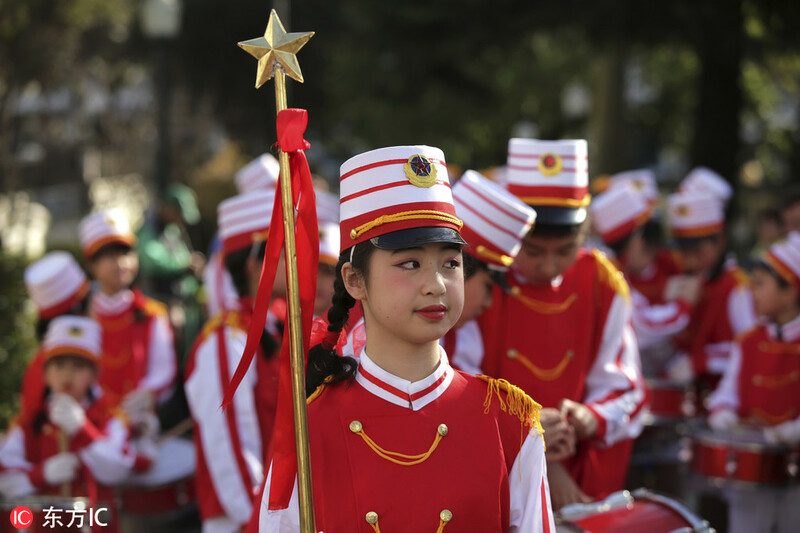 [Photo:VCG]"
Children from the Chinese School of Lisbon wait to take part in a parade celebrating the Lunar New Year, seen here on February 10, 2019 in Lisbon, Portugal. 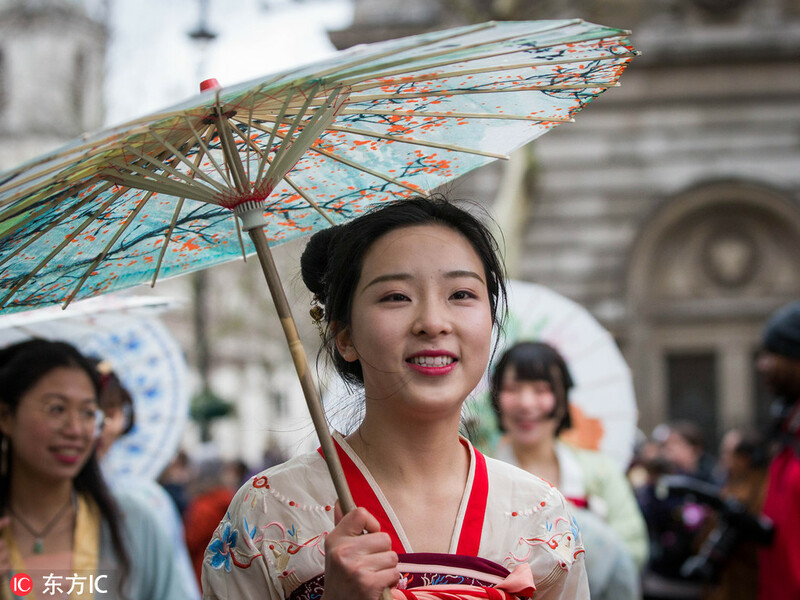 [Photo:IC]"
A woman wears a Han costume, a dress typical in the Han dynasty, and holds a Chinese traditional paper umbrella during a celebration in London on February 10, 2019, the biggest Chinese New Year celebrations outside Asia. 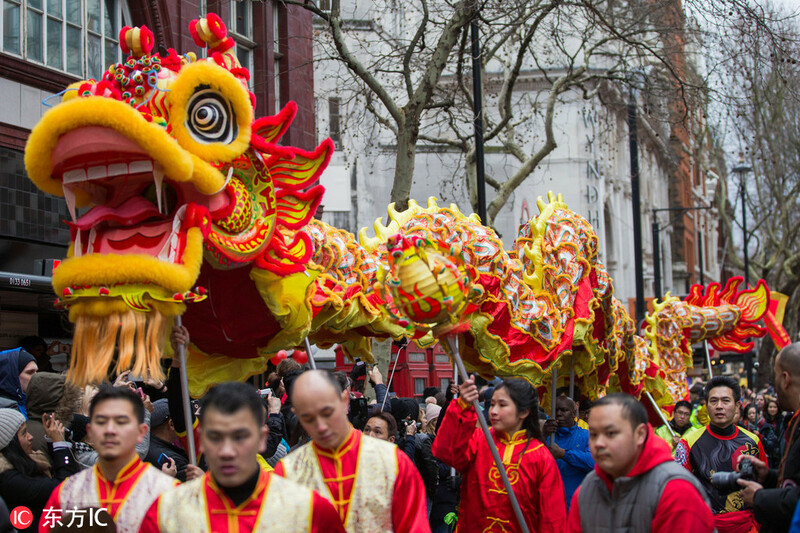 [Photo:IC]"
The Dragon dance as seen during a parade on February 10, 2019 in London. Londoners welcomed in the Year of the Pig with the biggest Chinese New Year celebrations outside Asia. 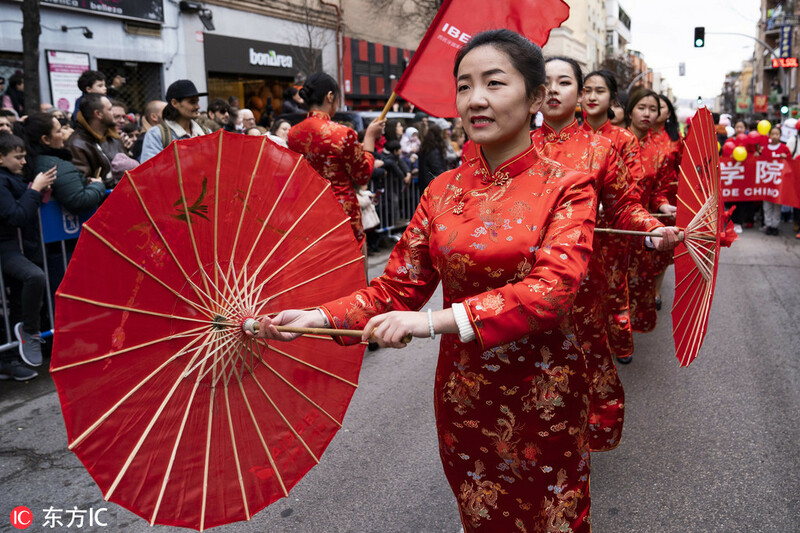 [Photo:IC]"
People participate in a celebration marking the Lunar New Year in the district of Usera, "the Madrid's Chinatown" in Madrid, Spain, February 10, 2019. [Photo:IC]"